I read a lot of beauty blogs. I have them all on my Google Reader and I’ve got an app on both my phone as well as the iPad. And I constantly check for new feeds. Stalker much? Just blog stalking. Perfectly safe. So, I seriously don’t remember ever coming across Lancome’s Summer 2012 collection. I don’t know what happened…senior moment? Yikes! I hope not. 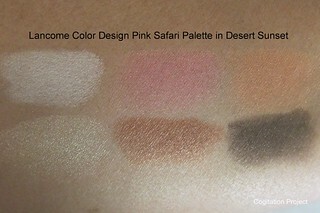 So when I saw this palette on display, I was taken aback. It is gorgeous. It’s got just a touch of tangerine/coral. 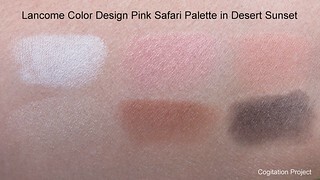 Definitely a workable palette. Infinitely luminous. Sensationally smooth. 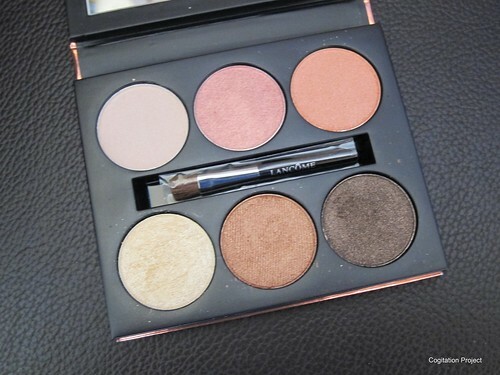 All-in-one 6 shadow palette to brighten eyes. Indulge in a limited-edition compact with shades of golden pinks mixed with orange, copper and brown. Inspired by the desert sun and exotic mirages, this new versatile, all-in-one palette conveniently creates a full eye look for day or night. Create a warm eye look to enhance the complexion by applying the soft peach tone all over the lid using Large Shadow Brush #11 as a base and then applying the copper shade to the lid with the Blending Shadow Brush #17, and extend the color up to the crease. For a smoky eye, apply the bronze shade across lower lid and up to the crease. Sweep the deepest shade around the lash line with the Angle Shadow Brush #13, then sweep the gold shadow from the brow down to the crease color to highlight under the brow bone. With the Dual End Liner and Shadow Brush #18, wet the liner side and apply the deep brown shade to line the eyes. 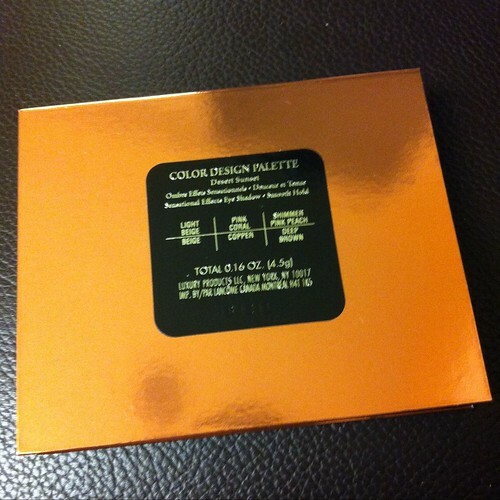 Let us now take a look at shades in this palette. 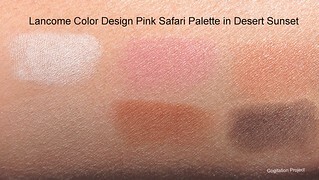 They are swatched according to the arrangement in the palette. And now for the look that I have created. I decided to use the bottom 3 shades for this look. I applied Copper all over the lid, Deep Brown on the crease and Beige on the brow bone to highlight.